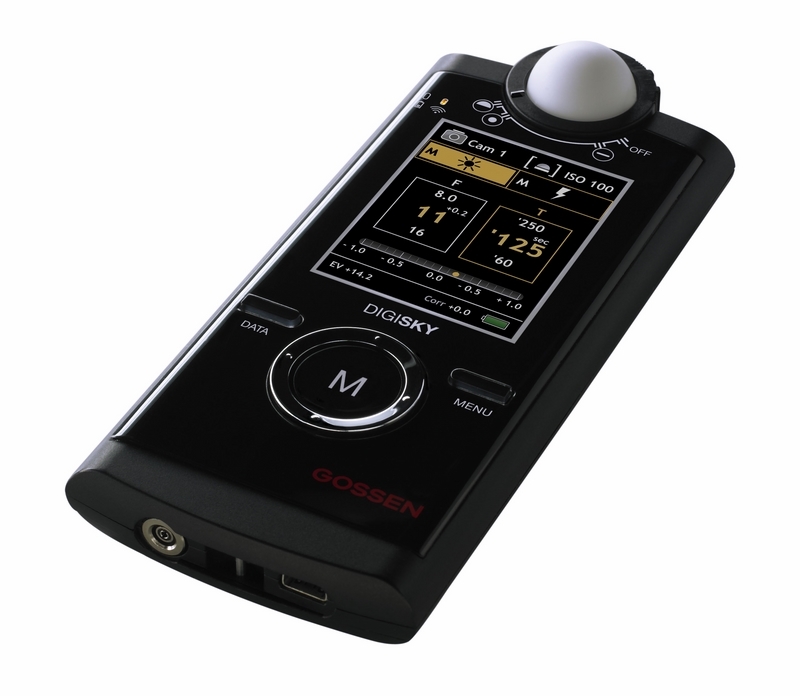 The Gossen DigiSky flash meter has received a firmware update enabling radio control of Broncolor photography lights, adding to existing Elinchrom & Phottix support. Photographers using Broncolor just got another labour-saving device for their workflow. They can now trigger and even remotely adjust their lights from a flash meter. The DigiSky is a high-end exposure meter from Gossen, fitted with a radio that can configure Elinchrom flash units during a photoshoot. It is also compatible with the Phottix Strato II, and thanks to a recent firmware update, can control Broncolor lights as well. “Who still uses a light meter these days?” some might ask. While handheld meters have indeed declined in popularity, there’s no such thing as a smartphone-based flash meter (yet) and for many photographers chimping just isn’t enough. Thus there remains a steady demand for dedicated light meters, possibly with some 21st-century features. The device comes equipped with a retractable incident light metering dome, a full-colour TFT screen, 2.4GHz radio and PC sync port, with exposure displayed in 1/10, 1/2 or 1/3-stop increments. If your budget doesn’t stretch as far as a Broncolor setup then don’t lose heart: the DigiSky can trigger the affordable Phottix Strato II 2.4GHz receivers as well. The Gossen DigiSky is available now for $470 (£323) from Amazon.com, Amazon UK, Adorama, B&H and others. To download the new firmware free, or for more information, visit the Gossen web site.